In a recent post, I discussed traffic court excuses that never work when you are issued a cell phone ticket. From the feedback I received, I believe I cleared up a lot of misconceptions about British Columbia's cell phone laws. However, misconceptions about traffic laws in British Columbia are not limited solely to cell phones. In my experience as a traffic and driving lawyer, I have come to learn that there are also a number of misconceptions about speeding laws that permeate the way people approach their defences in traffic court. This post will clear up those misconceptions. Speeding tickets are by far the most common types of tickets that are issued in British Columbia. And living in the Lower Mainland, it's no surprise. The average speed of any driver in Vancouver is approximately 20 km/hr above the posted speed limit. Those living here seem to treat speed limits as a rough guideline, rather than a maximum allowable amount. Because of this, enforcement by police is often only targeted at the worst offenders. It's simply not possible to stop every speeding vehicle, so police spend their resources going after those who are well above the limit, and beyond the speed of traffic. But a public perception of speed limit guidelines as opposed to limits has drawbacks. Many people are deluded into believing that the speed limit is not a limit. I watched a trial of a traffic ticket for speeding, in which the officer testified that he made both a visual estimate (more on those below) and obtained a radar reading showing the accused travelling roughly 30 km/hr over the limit. The accused testified in his defence. He testified that he was traveling 10 km/hr over the limit and that he had been told by friends that the speed limit is actually 10 km/hr higher than posted. Suffice it to say, he was convicted. Ignorance of the law, as they say, is no excuse. Particularly when the law is clearly displayed on a sign posted at the roadside. Another misconception that seems to float around regarding the speed limit is that the police will not pull you over if you are doing 10 km/hr or less over the speed limit. I have had many clients who say "But I wasn't speeding," only to then tell me that they were doing 55 km/hr in a 50 km/hr zone. That is speeding. This misconception appears to be grounded in the inaccurate belief that there is a +/- 10 km/hr leeway with a laser or RADAR device. While there is a margin of error, this does not mean that the police do not have the right to pull you over for travelling within this margin of error. Even 1 km/hr over the speed limit is speeding, and a police officer is well within his rights and obligations to pull you over if you are exceeding the speed limit, even marginally. While it is not likely that this will happen, likelihood of enforcement does not create a defence to the allegation. Again, we see the drawbacks of limited enforcement impacting the public by creating misconceptions about speeding. Sorry, but this is simply not true. The laser and RADAR devices used by police do not go through a calibration process like the one used for approved screening devices (roadside breathalyzers). Instead, they are checked for calibration at the beginning and end of every shift by the officer who uses them. Although the officer may record the calibration check evidence in her notebook, she is not required to do so. It is sufficient if the officer testifies that she did so. And even that testimony is not required. Many websites (not written by lawyers) suggest that you should seek calibration records in advance. But if you were to make such a request, you would likely not receive a response. If you got one, it would simply be a letter indicating that no records exist. There is maintenance performed on defective laser and RADAR devices by a service provider, but this is only done when a defect is discovered. From doing requests pursuant to the Freedom of Information and Protection of Privacy Act, I've learned that the maintenance issues aren't ones that would lead to inaccurate readings, and so aren't likely to give you a defence. A conviction may be entered on a charge of speeding on the evidence of data obtained from a radar speedometer, if evidence is adduced that the equipment was in good working order and was being properly used. This principle comes from Horsley and Foster, Manual of Motor Vehicle Law, (2d. ed. 1974), and remains true even today. The only way to deal with this evidence, provided the officer testifies the RADAR or laser was in good working order and properly used, is to undermine the officer's testimony through cross-examination. A demand for calibration records will not suffice, and the courts have taken the position that these are unnecessary to allow the Crown to prove the elements of speeding beyond a reasonable doubt. 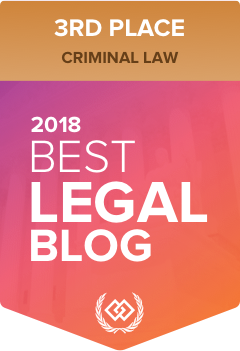 If you're taking your legal advice from the internet, you may come to believe that the officer has to show you the laser or RADAR device to prove that it registered a speed over the legal limit. However, this is not the case in British Columbia. Word to the wise: legal advice online is a bad idea, unless it comes from a credible source in the same jurisdiction. The procedure in an Alabama traffic court is very different than that in British Columbia. And this type of information, readily available online, can lead to misconceptions about the traffic court process here. Some might argue that this is a part of the disclosure process, but that is inaccurate. The officer does not have to allege a particular speed in order to prove speeding. The only allegation that has to be proven is that the accused drove above the speed limit. So showing you a particular reading on the laser or RADAR doesn't come into play in disclosing the evidence on which the officer will rely. In any event, their notes or typed Narrative will describe what speed you were travelling at, and how that was ascertained. Showing you the reading accomplishes nothing. That being said, if you can successfully argue that there were issues with the officer's credibility then the failure to show you a speed reading may well lead to an adverse inference that the officer is not telling the truth. But credibility is an issue that rarely comes up in traffic court, and one that is even less often successfully shown to be wanting. In my experience, most police officers take their role seriously and do not come to traffic court to invent evidence that a person was speeding when they were not. So the likelihood of a successful argument arising from an officer's failure to show you the RADAR or laser device reading at the roadside is slim. I wrote about this and a few of these other matters in an earlier post. Wrong again. Police are not required to prove that a driver was speeding by reference to a particular speed measurement device. They are entitled to rely on a variety of factors, including visual estimation, pacing, stopwatches, observing a vehicle travelling faster than the speed of traffic, and laser and RADAR devices. In the Lower Mainland, there is also a dedicated traffic enforcement helicopter team that will monitor speed using the GPS and other features on the helicopter. All of this is acceptable and admissible at court. That being said, the failure to use a laser or RADAR device will often make the officer's case weaker. Visual estimates are much easier for your lawyer to attack, as there can be many contributing factors to an inaccurate speed assessment. Pacing as well is often rendered unreliable through skillful cross-examination. For example, most speeding cases I do not know in advance which method of speed measurement was used. I write a cross-examination that usually spans approximately twenty pages, designed to attack each method of measuring speed. There are so many variables that need to be covered, that it's simply not good preparation not to do this. There are three types of offences, mens rea offences, strict liability offences and absolute liability offences. Absolute liability offences mean that you are responsible for the offence, even if you did not intend to commit it and even if you were taking steps to ensure that you did not commit it. In British Columbia, speeding has been determined to be an absolute liability offence. Meaning that if you speed, you are responsible for it. Even if your speedometer was broken. Even if you did not mean to be speeding. This fact pretty much answers the next three traffic court excuses that never work for speeding charges. First of all, if you admit that you were not paying attention not only have you not raised a defence to speeding because it is an absolute liability offence, but you have also told the Court that you were committing the offence of driving without due care and attention. This is a violation of Section 144(1)(a) of the Motor Vehicle Act, and means that you've just admitted to committing another traffic violation. It's never a good idea for your excuse in traffic court to be that you were actually committing two offences. Here's a confession: I failed my road test the first time I took it. I had a perfect score on every element, including parallel parking. I shoulder checked on every turn, I stopped at all the stop signs, and I even managed to keep the car straight while reversing. Near the end of the test, I was happily driving along at 45 km/hr, when the examiner said "I'm going to have to ask you to slow down. You're in a school zone." I was shattered. I challenged the examiner: "There were no signs! How was I to know this was a school zone?" He told me that a large truck had been parked in front of the sign, and I couldn't have seen it. Nonetheless, I was speeding. Understandably, I was shattered. This was my first experience with absolute liability offences. It doesn't matter what you think. The reality is that if you are speeding, you will be convicted. I once watched a woman pleading with a Judicial Justice of the Peace in traffic court. She explained that there were signs posted in the town, which had been covered by trees that were never trimmed. She couldn't see the signs, and so could not follow them. Of course, this did not matter because speeding was an absolute liability offence. The best the Judicial Justice of the Peace could do is suggest that the woman write the municipality to ask that the trees be trimmed. Well, this is an excuse but not one that will work. A defence to an absolute liability offence can be made out, if you establish that the offence was committed by way of necessity. And while it may be true that you had to get home to pee, rather than peeing your pants, this unfortunately doesn't qualify as necessity. The harm caused by your unlawful act must be proportional to the harm you are avoiding. Obviously, peeing your pants doesn't meet any of these elements. It's not imminent peril, you could always stop and ask to use a washroom at a business or nearby house, and the harm of speeding is far greater than some temporary discomfort and having to do a load of laundry. Besides, didn't your mother ever teach you to pee before you leave the house? I have spoken to many officers who have been told this excuse at the roadside. They always get a laugh out of it, in part because it is somewhat understandable, and in part because it is almost always not true. But a word of advice: don't pee your pants at the roadside to try to add credibility to your defence. That will only likely lead to you being investigated for impaired driving. I love the good people at SenseBC. They have made great advances in this province toward smarter speed limits, more reasonable rules on the road, and increasing public safety in a sensible way through good laws. And many of the people reading this blog have also seen their video about the illogical speed limits on our roads. And they're often right about the points that they make on their site and in their video. The problem is that logic and the law do not go hand-in-hand. Whether the speed limit makes sense for the road or not, you're still required to follow it. The only recourse you have is to write your MLA or municipality and request a review of speed limits. Or, get involved with SenseBC to try to bring some sense into speed limits. Unfortunately, bringing this up in traffic court will not get you anywhere. So how do I win a speeding ticket case? Winning a speeding ticket case is not easy. You'll need to have strong legal arguments, a good defence, and a thorough cross-examination to challenge the officer's mechanism of measuring your speed. As a dedicated driving lawyer, I come prepared to all my trials with these three tools. Speeding tickets are difficult, complex, and often very technical. Because they are absolute liability offences the law is often not on your side. An experienced driving lawyer is someone who can defend you and put you in a good position for success. Certainly, an experienced driving lawyer will know better than to try any of these common traffic court excuses that never work.